Professional services firm Begbies Traynor has promoted Matt Russell to the position of senior manager in its Yorkshire region, with responsibility for supporting its Hull office. Matt joined Begbies Traynor 11 years ago during which time he has undertaken year-long secondments with both Lloyds Banking Group and with National Australia Bank. With a BA in Accounting and Finance, Matt has gained a broad range of experience in advisory work, having spent considerable time in Begbies Traynor’s Leeds office, working with advisers and lenders. 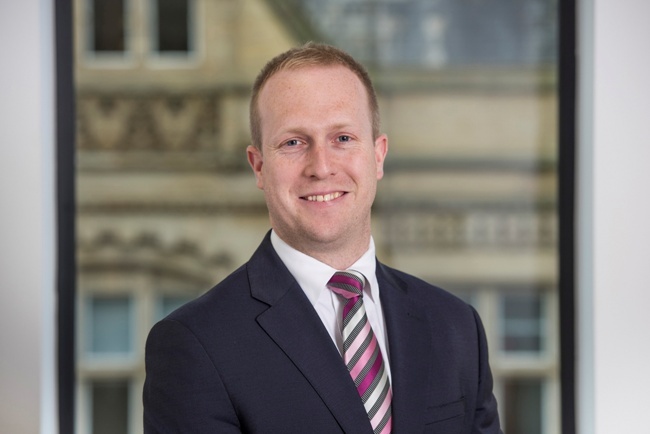 Andrew Mackenzie, partner for Begbies Traynor in Yorkshire, said: “Matt has been a stalwart member of the team and has played an important part in helping us to grow our business in Yorkshire. Begbies Traynor’s Hull team is based in Marina Court, Castle Street. The group currently has nine offices and employs around 100 staff in Yorkshire, the Humber and the North East. It offers a full range of professional services including corporate recovery, investigations and risk, forensic accounting advice, corporate finance, property, funding, debt collection and personal insolvency.